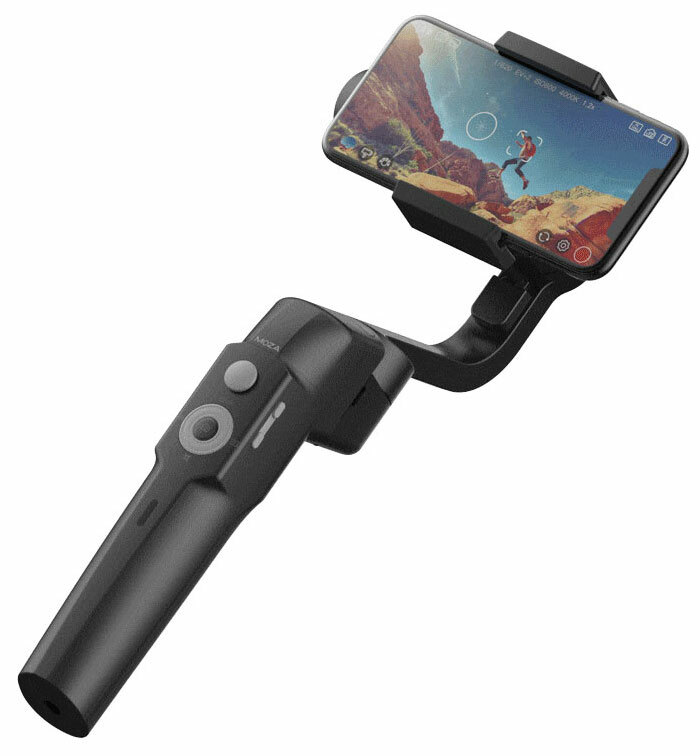 At CES 2019, the Chinese gimbal specialist Moza presented a new electronic 3-axis Stabilizer for smartphones, which should be even easier to use than the Moza Mini-MI. The Moza Mini-S is very compact - when folded it measures only 13 x 6.8 x 19.5 cm and can be extended to a length of about 44 cm. The joystick integrated in the handle and several control knobs (e.g. for focus, zoom and playback) can be used to control the gimbal and switch between the different film modes. These include time-lapse mode, automatic object tracking, vertigo and inception mode. 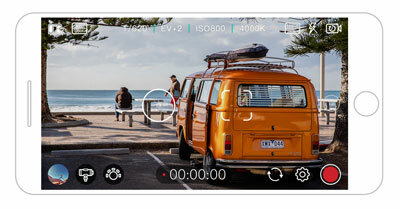 Filming is done using the Moza Genie App, which can also be used to create intelligent film modes. It can be used for stabilized Selfies as well as for gentle Gimbal camera movements. The Moza Mini-S Gimbal works together with smartphones that are between 55 mm and 88 mm wide and weigh up to 280 grams - that should be enough for current smartphones: the iPhone XS weighs 208g, the Galaxy S9+ 189g and the Huawei P20 Pro 180g. The internal 2200mAh battery lasts for about 8 hours of operation. The Moza Mini-S comes in two colours (black/white) - it will probably be available in March, the price is not yet known. For comparison: the Moza Mini-MI costs around 100 Euro. Radioaktivität mit dem Kamerasensor eines Smartphones messen Olympus E-M1X Leaks: Live ND-Filter, 4K LOG und weltbester 5 Achsen-Stabi?